Purchase immediate high quality digital downloads of this 12-track album in your choice of MP3, Apple Lossless (ALAC), FLAC or just about any other format you could possibly desire and save. Click on song title to purchase download of individual tracks for only 1.29 each. 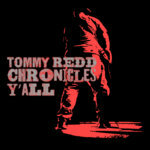 Get all 6 TOMMY REDD releases available on Bandcamp and save 60%. Includes unlimited streaming via the free Bandcamp app, plus high-quality downloads of Chronicles Y'all, July, Flour Child, Supersex, Boogie Chillins, and Soul Daddies. , and , . Tommy Redd is the true american hero, writing real music for real people. His down to earth lyrics touch the heart and live forever. Most recognized as lead songwriter, guitar player for Nantucket, Tommy is famous for his crazy onstage antics from auctioneer and square dance intros, to playing solos with a spoon and slide guitar with a beer bottle. Boogie Chillins is an amazing collection of songwriter skill, Tommy delivers each song with all types of messages and a comedic edge, guaranteed to make you head-bop-boogie, all-night long. 1. Mississippi: from the album "Part III"
2. Imagination: from the album "Silk Purse"
3. Honor Student: from the album "Part III"
4. Quit Yer Grinnin': from the album "Part III"
5. Honeybun: from the album "Silk Purse"
6. The Ballad Of Jed Clampett: from the album "Silk Purse"
7. Dammit Boy: from the album "Part III"
8. Blindfolded: from the album "Part III"
9. Hulk Hogan: from the album "Part III"
10. Whistlin' Dixie: from the album "Silk Purse"
11. Jim Beam Me Up (Scotty) from the album "Part III"
12. Dollbabies Part II: from the album "Part III"
Curtis Lowe was playin’, an then my tape deck stop. Till they took me to the court house, put in the pen.